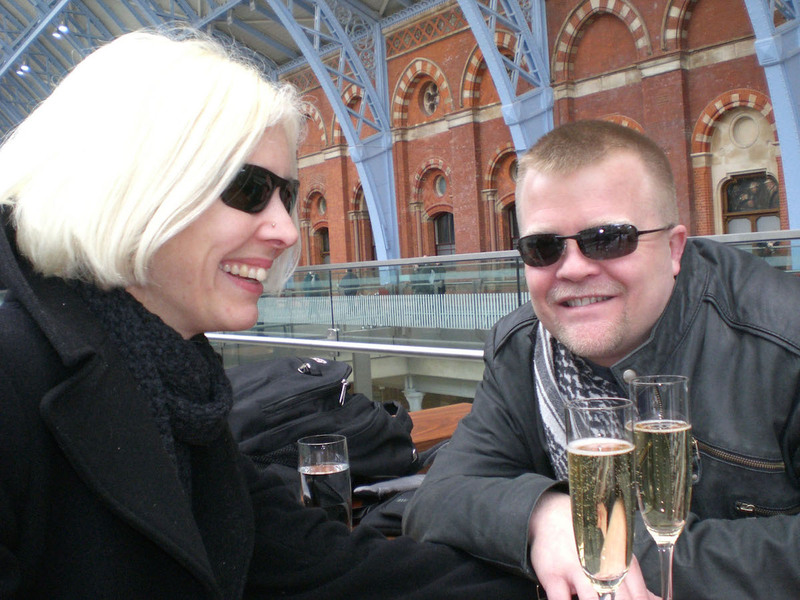 Back at the beginning of February it was James and my wedding anniversary – we can’t remember whether we got married on the 1st or the 2nd of February, but that isn’t really important. We also couldn’t remember if it had been 6 or 7 years, but I have since counted it on my fingers and it is 7 years. 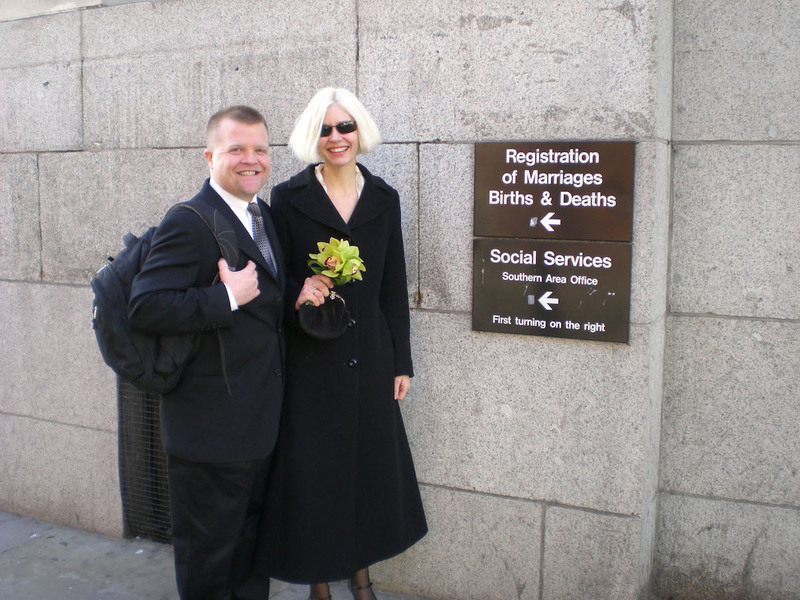 We don’t really celebrate anniversaries – we didn’t really celebrate getting married – not in a traditional way – it was all a bit of an impromptu thing. 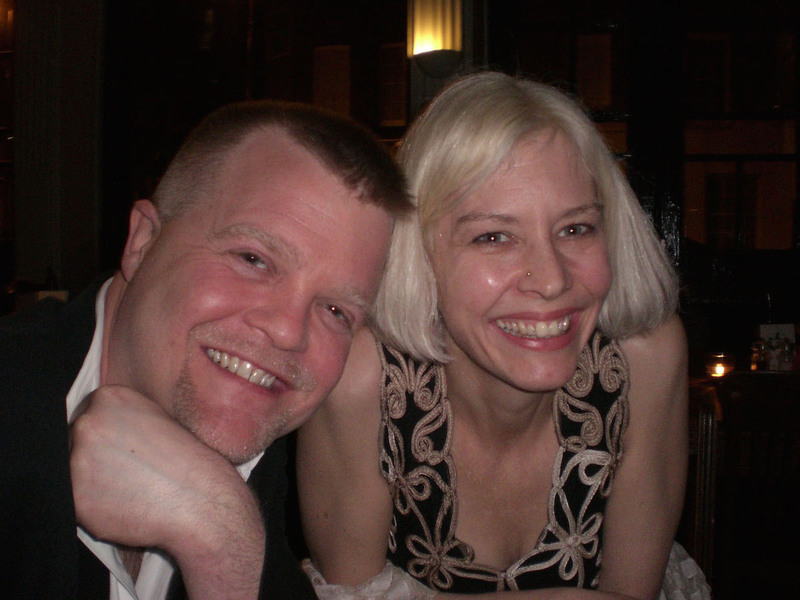 Back in 2008 we had a most marvelous day with our two wonderful friends Jeff and Kerry. 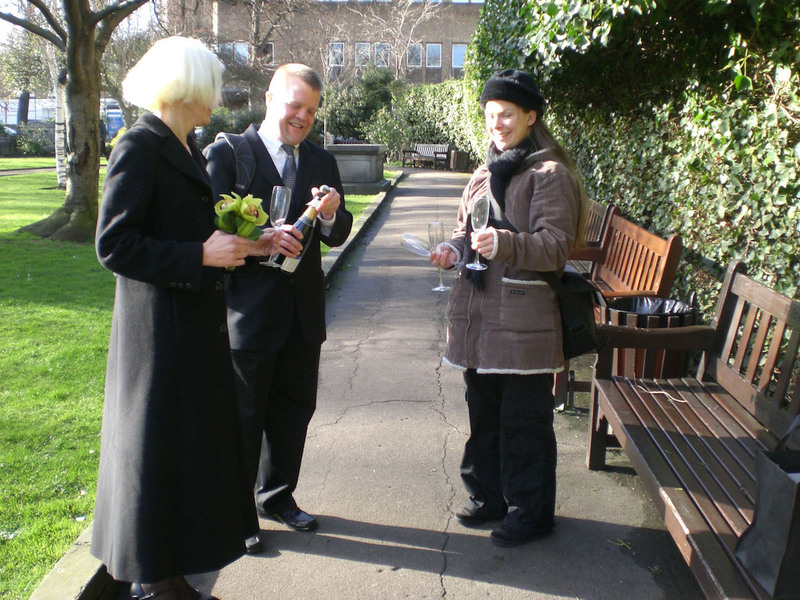 We quickly (it only took about 10 minutes) got married in a registry office on a cold, sunny day. After this we headed to the Natural History museum to see the dinosaurs before having lunch at a very, very nice sushi restaurant. 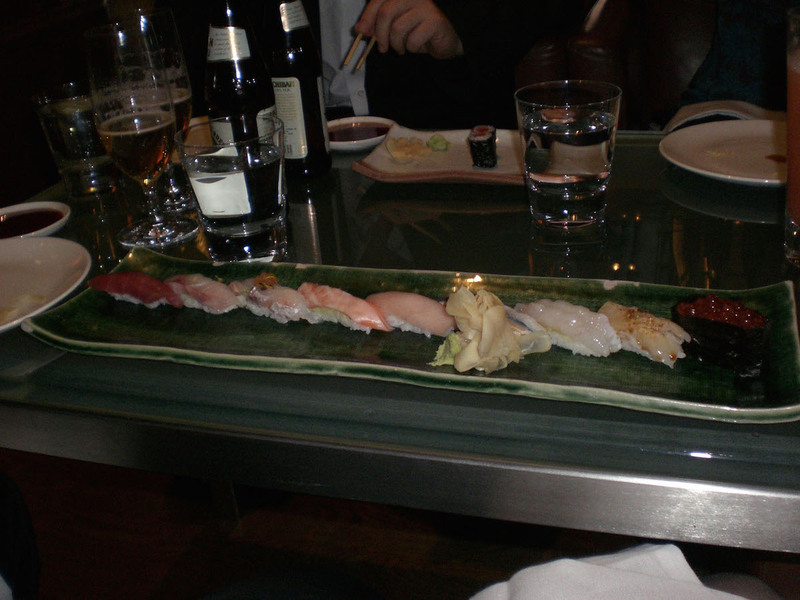 Finally we went to see a Cirque du soleil show and then had dinner at our favourite organic pub in Angel. A jam-packed day! The next day we headed off on the train to a northern industrial town in France – Lille – for two days – yes we certainly know how to live! 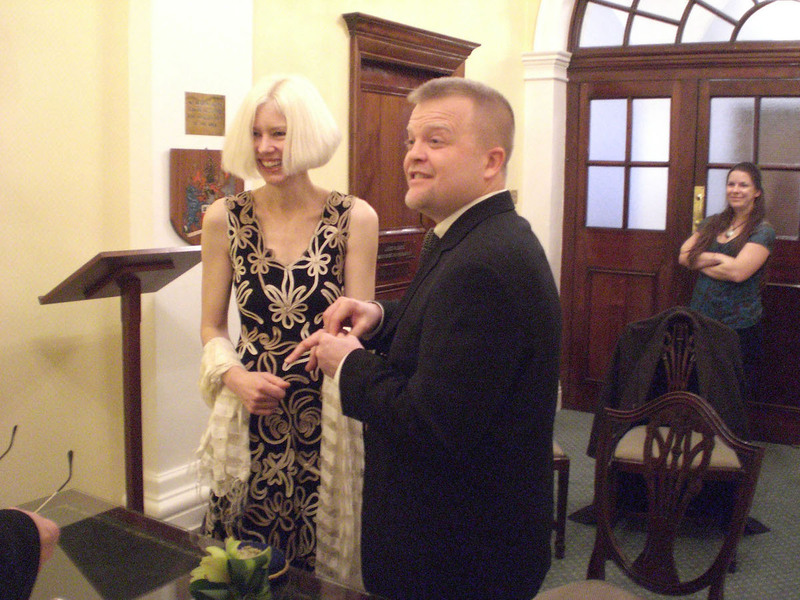 I got very very sick so we didn’t have a totally brilliant time, but we ate some lovely food – actually looking back on it I seem to have been a bit poorly for quite a lot of the time we have been married! 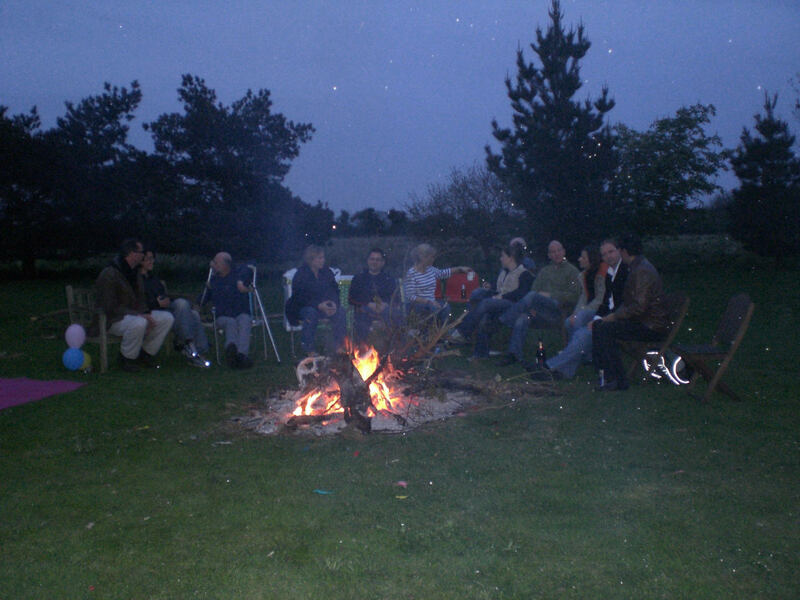 Later in the early summer, good friends and family came for a little home-made party on the campsite which was lovely too – although it was the last time my Dad ever went upstairs and he was too weak to walk so we carried him outside on a chair. Anyway a couple of weeks ago on the 1st February just before I headed off to Germany I thought it would be nice to make James a special anniversary tea. A burger would have been nice, but we settled on sausages in buns as it was easier. I should say at this point that I hate, loath and detest brussel sprouts. My mum and dad used to grow them and we had them for dinner a lot. I used to shove them all in my mouth at once and go into the kitchen and spit them in the bin – yuk yuk yuk. Now I am an adult I can largely avoid eating this most disgusting of vegetable. 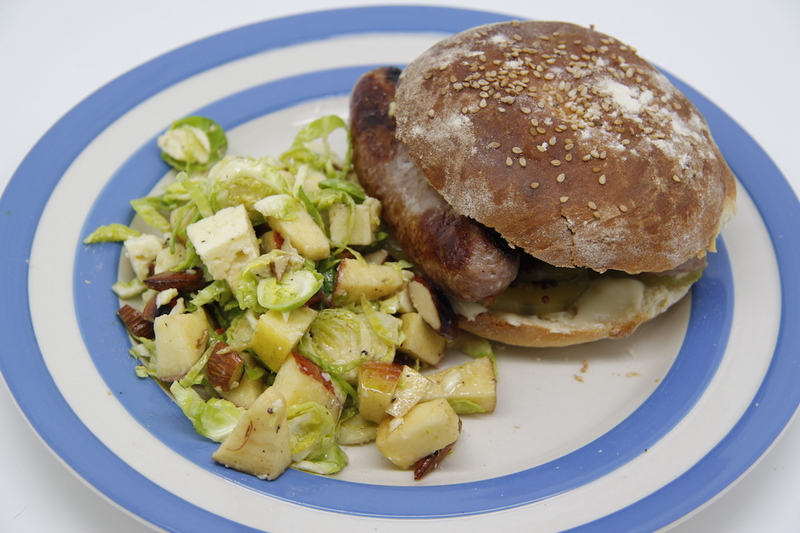 So why is there a brussel sprout and apple salad nestled next to our anniversary sausage bun? Well at the end of last year I was visiting friends in London and they made me this salad. I was filled with dread, but I am very well brought up so I thought I would try and eat it and be polite. It was a total revelation. I was utterly amazing and delicious. It turns out that I loathe cooked brussel sprouts – I adore raw ones. Since then I have made this salad at least once a week. I don’t grow any brussel sprouts (obviously), but my lovely neighbour does and she has been keeping me supplied. This is my version – slightly adapted from my friends’ amazing recipe. 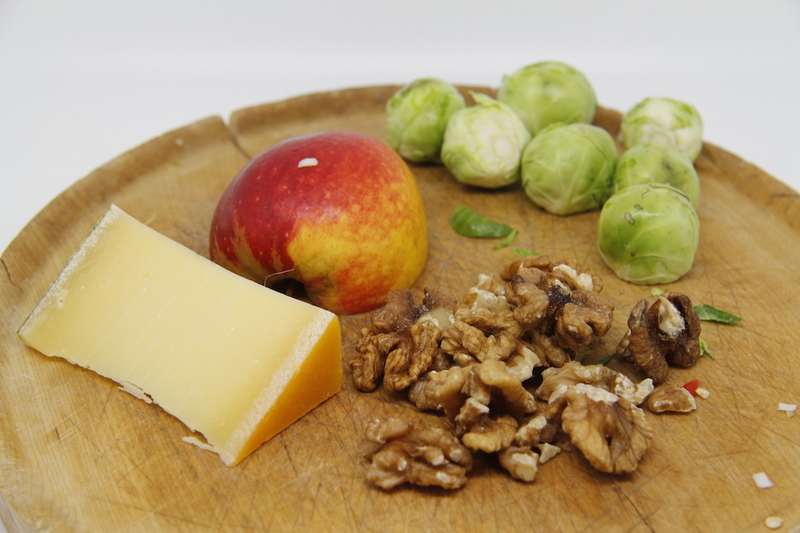 Brussel sprout, apple and nut salad: brussel sprouts, eating apple, nuts (walnut or almond), cheese – cheddar or Devon blue are good as is Coolea, lemon juice, olive oil – or a mustard, vinegar dressing made with nut and olive oil. 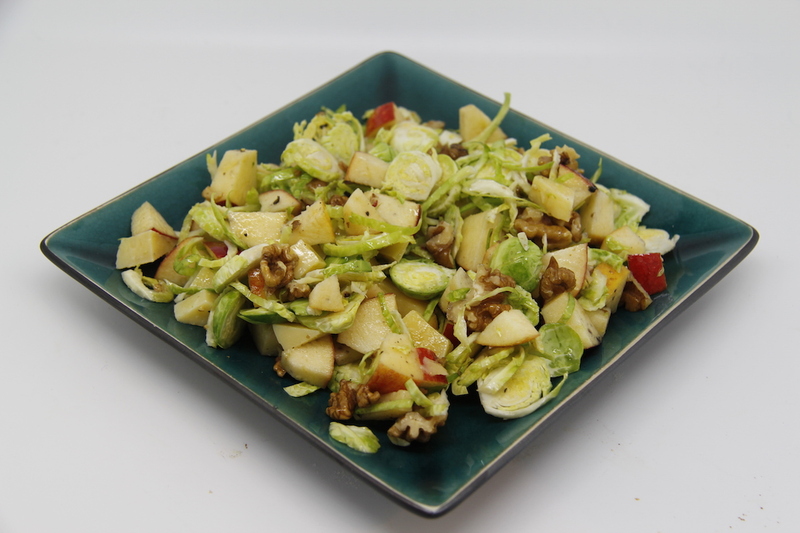 Thinly slice the brussel sprouts, cube the cheese and apple and put everything in a bowl. Toast the nuts and add. Pour on a dressing made with olive oil, walnut oil, vinegar and mustard. You can alternatively toss all the veggies in lemon juice and then add a little olive oil instead of putting on a dressing. I love this so much I am going to grow my own brussel sprouts next year – so so excited. 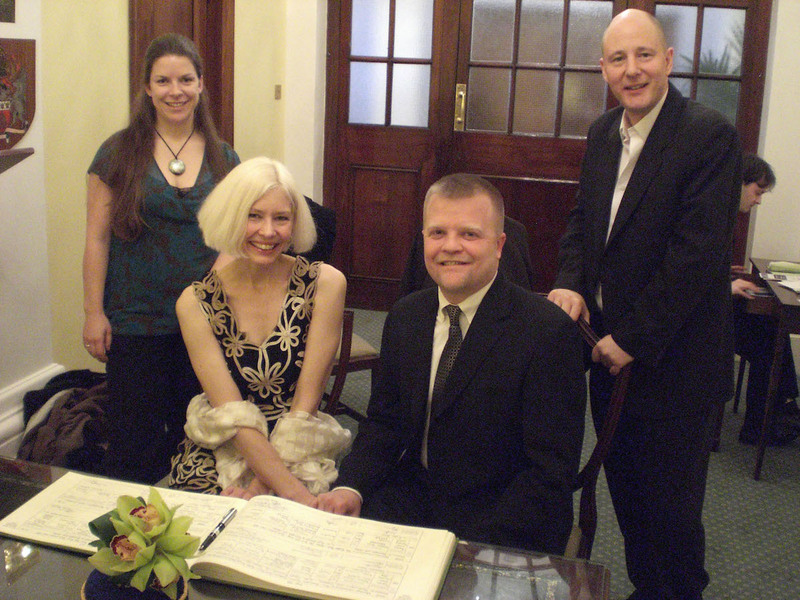 Congratulations Claire and James on your wedding Anniversary – great photo’s !! Love seeing the photos again! You look so happy. And congratulations of course. 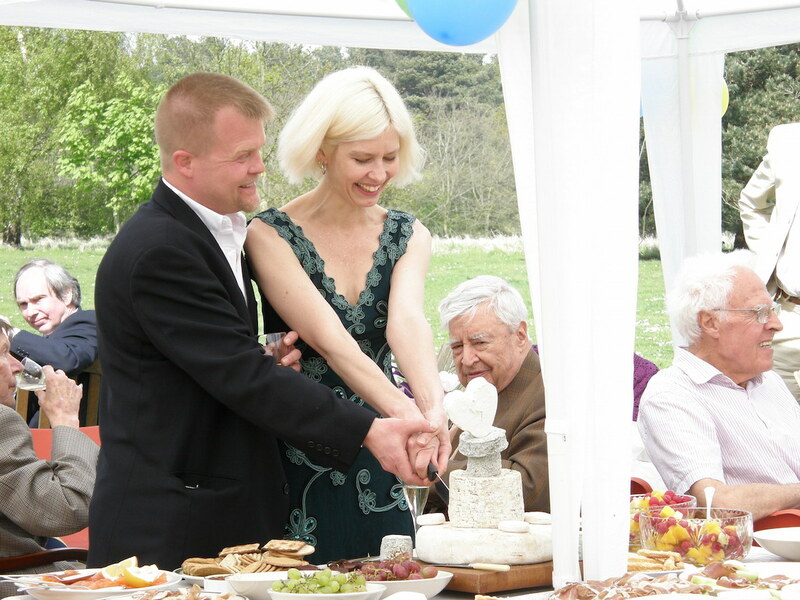 As one who doesn’t celebrate anniversaries or birthdays or much of anything really I totally relate to the low keyed celebratory aspect of your wedding. Ours was, too. I’m glad you did it your way. p.s. I was only forced to eat one brussels sprouts once as a kid at my grandma’s house and also found them disgusting but now just love them. Funny how that works out Think the browned butter and spicy sauce that they were drowning in might have helped me develop a liking for them:-).Happy you found that raw ones suit you. Will try out your salad idea.